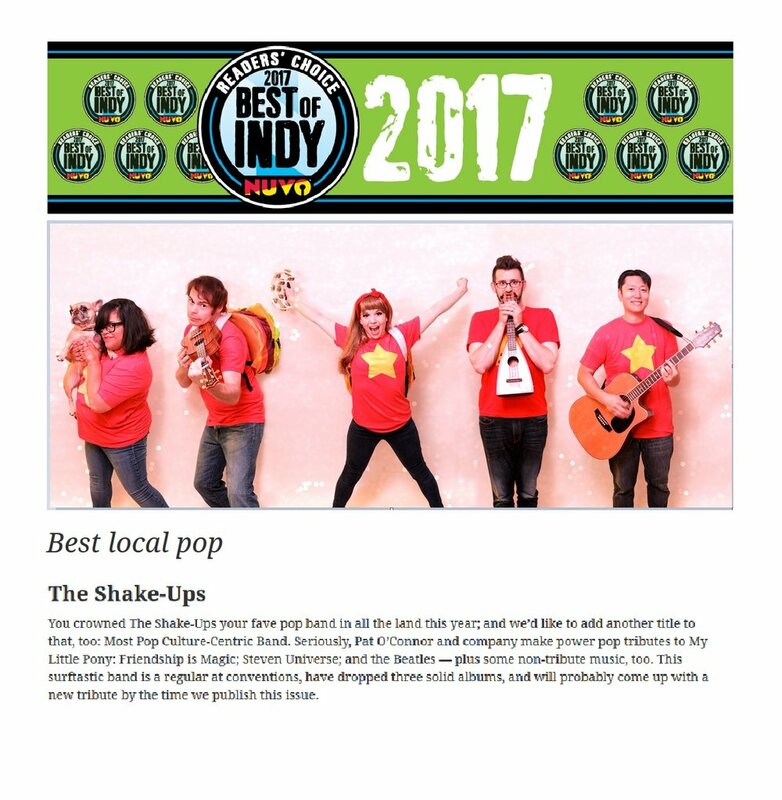 The results are in, and The Shake Ups are excited to report we've been awarded the title of 'Best Local Pop' in Nuvo Newsweekly's 2017 Reader's Poll. This is the second year running that we've managed to come out on top in this category of the poll, and we can't thank our friends and fans enough for your votes and nominations! With just a handful of live appearances left in 2017, we'll be returning to the studio to finish work on a new album of Ponyville material as well as starting work on another project with an official announcement soon! Gen Con 50th Anniversary Performances!